Inclusive of the Wednesday Night Series and local weekend events this Series is named after local legend George Tonini who raced his J24 USA 1031 Trick or Treat into his 80s. George never missed a chance go to racing and neither should you. Stay Tuned for more information about this Championship Series…. George Tonini, born in Trieste, Itlay, December 20, 1922, and passed away February 19, 2009. George was a Merchant Marine and trained on the Italian navy ship Amerigo Vespucci. During WWII he was an Ensign and while cooperating with the U.S., he served in The Royal Italian Navy as navigator on the Italian submarine Goffredo Mameli. He was stationed in many different places, but the most interesting was Great Diamond Island in Casco Bay. He also worked as a dispatcher and translator at the American Motor Pool for the Allied Military Government in Trieste Italy. He settled in Maine, married and worked the rest of his life as a Chef and Caterer in several different capacities. (If you were one of the lucky ones you would have tasted his food). 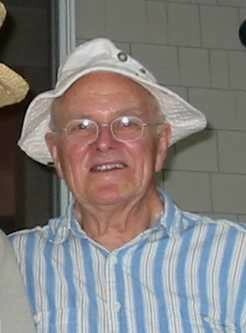 He was a member of the Portland yacht Club since 1964, he taught many people how to sail, and was an avid J/24 racer until the ripe age of eighty. There was so much more to his life then we can put into words. He loved life, the ocean, sailing, dancing, cooking, playing poker, fishing, the Caribbean, and most of all, his wife Dorothy of 50 years. He was loving, vibrant, flirty, energetic, and cute. We will miss him dearly. He is survived by his wife Dorothy Tonini of Cumberland, daughter Juliana Tonini of Windham, son Daniel Tonini of Portland, along with his granddaughter Aria Tonini of Alfred. Daughters Adele Harnois of Portland & Linda Beck of Gorham. Sons Eric Tonini of Ft. Myers Florida & Giorgio Tonini of Trieste Italy. He has five grand children. George’s J/24 Trick or Treat named for the hull number 1031 and hand picked by George right from the factory in Rhode Island was a fixture on the Casco Bay racing scene for more than 30 years. The distinctive orange/yellow hull, black mast and often interesting Halloween spinnaker graphic made George’s J/24 truly unique.